Boston Red Sox won the World Series last season, but Mike Carlson is tipping another AL team to take it this year. "Roberto Osuna, Ryan Pressley and Hector Rondon anchor the bullpen, which could also have either Peacock or McHugh. OF Michael Brantley and C Robinson Chirinos help replace the loss of Evan Gattis and Marwin Gonzalez, helped by a breakout half-season from Tyler White; but with Yuli Gurriel, Jose Altuve, Carlos Correa and Alex Bregman around the infield, the pop is there." The 2019 MLB season is just about upon us: starting early, and in Japan, where baseball is, along with sumo, the defacto national sport. The most heated rivalry in all of American sport, the New York Yankees and Boston Red Sox, comes to London in June, and last year the World Series champion Sox won 108 games, the Yankees 100, and played each other even during the season before Boston went on their amazing playoff run, which culminated in a 4-1 triumph over the Los Angeles Dodgers. As with last year, the free agency movement of players between teams has been relatively subdued, with rumblings about the team owners colluding to keep salaries down. The two big ticket free agent hitters both had to wait until March to sign new contracts, but they were formidable. First Manny Machado, who had moved on from his original team, Baltimore, in midseason last year to join the Dodgers, moved down the Pacific Coast Highway to ink a 10 year $300 million deal with the San Diego Padres, breaking the all-time record 10 year $275 million contact Alex Rodriquez signed with the Yankees in 2007. Like A-Rod, Machado is a power-hitting shortstop who also plays third-base: big bats are most valuable at key defensive positions. Then Bryce Harper busted through that barrier, leaving Washington for the Philadelphia Phillies with a 13 year, $330 million deal. What's interesting here is that both players entered the majors young (Harper at 19, Machado just past his 20th birthday) so they hit free agency aged only 26, when they should just be entering their peak seasons. Rodriquez's deal sent both teams warning signals, and the Padres have built exits into their deal, while Harper's salary tapers down as the deal progresses, by which time he is likely to seem a bargain even if his skills have declined by age 39. For the Padres, Machado is part of a perennial rebuilding, sending a signal to fans of the only top-level sports team left in San Diego, while for Philadelphia Harper is seen as a piece to put the Phillies over the top in their battle against the Dodgers, Cubs and of course Nationals. The two deals are also a reminder that players are reaching the big leagues ever-more quickly these days, and retaining control of their contracts is an ever-greater challenge for their original clubs. Still unsigned at the time I write this are the two biggest-ticket pitchers on the market, both from elite American League clubs. Houston starter Dallas Keuchel is 31, and coming off a relatively average season, albeit one in which he pitched over 200 innings for the first time in three years. Boston closer Craig Kimbrel is 30, and has been one of baseball's best for seven years. Although still statistically impressive, he showed a noticeable decline last season, especially in the post-season, when he gave up seven runs in less than 11 innings. It seems the issue with both pitchers, who turned down roughly $18 million one-year offers from their old clubs, is length of contract. Pitchers' arms are notoriously fragile, and teams are less likely to take long-term bets, especially when there are signs of decline. If you're betting the season, keep a close eye in the next few weeks where these two guys go. I looked back to last year's predictions and they weren't bad. I did mention the Dodgers being a good shot to beat my NL pick Nationals, while I had the Red Sox in a wild card and the Yankees winning the AL. Mookie Betts was my dark-horse MVP candidate, and I had a couple of Cy Young runners-up in Corey Kluber and Max Scherzer, but my NL dark-horse was the wrong Met, Noah Syndergaard instead of the actual winner Jacob De Grom. Which is the thing with betting baseball. It is a quotidien game, the odds within the game tend to balance out, and you will be faced with anomalies and surprises every day. If you want to try to chase the daily odds, here are a few things to remember while you look for trends. The key matchups are the pitchers. A good pitcher against a less good one; a good pitcher against a bad hitting team; a good pitcher in a good pitcher's park; two ace pitchers in a pitcher's park might suggest a low-scoring game. Look for a good right-handed pitcher against a team which hits lefties better, and vice-versa; those are matchups to savour. A batter facing a pitcher on the opposite side (righty/lefty) has slightly longer to see the ball out of the pitcher's hand, and on the same side slightly less time, which is why 'platooning' remains the key matchup in baseball. You can find this information easily. Learn about the ball-parks: Yankee Stadium is a bandbox whose dimensions no longer favour left-handed pitchers, but which inflate home run totals from sluggers like Giancarlo Stanton or Aaron Judge. They led the AL with 144 home runs at home, 'only' 123 (second in the league) on the road. Fenway Park is no longer a home-run park, but the small foul territory, the good outfield background, and of course the famous Green Monster left-field wall make it a great hitter's park. The Sox hit .282 at home, best in the AL, but 'only' .255 (third in the league) on the road. The Astros hit better against lefties than righties, the Red Sox were the opposite. In Denver, the thin air means breaking balls don't break as much, while the hard hit balls carry farther, and the huge outfield spaces ensure many of them fall in as hits. Last year the Rockies batted .287 at home but only .225 on the road. In Oakland, as the mist from the Bay thickens in the evening, balls carry less far going into the late innings of night games; pitchers like that. As pitchers were third in the league at home, sixth on the road. LA Dodgers pitchers led the league in ERA at home (3.12) by a wide margin; and were third on the road. Mets' pitchers were third at home, but next to last on the road, which explains a lot about their season. Remember too that all park effects work for both teams playing. New York Yankees: As usual, the Yankees have been aggressive in improving their team. They've added James Paxton from Seattle, an upgrade on Sonny Gray, reliever Adam Ottavino, an upgrade on David Robertson, and shortstop Troy Tulowitzki, an often-injured star who will hold down shortstop until Didi Gregorious comes back from his injury. They added lefty Zach Britton for the playoff push last year. Stanton and Judge's power gets the attention, but the real strength of the team is the young pair of Miguel Andujar (23) at third and Gleyber Torres (22) at second; they both had outstanding rookie seasons. They still need a solution at first base, but with a deep bullpen, they will stay in games until the big bats bail them out. Boston Red Sox: The Sox more or less stood pat with a team for whom everything went right last season. 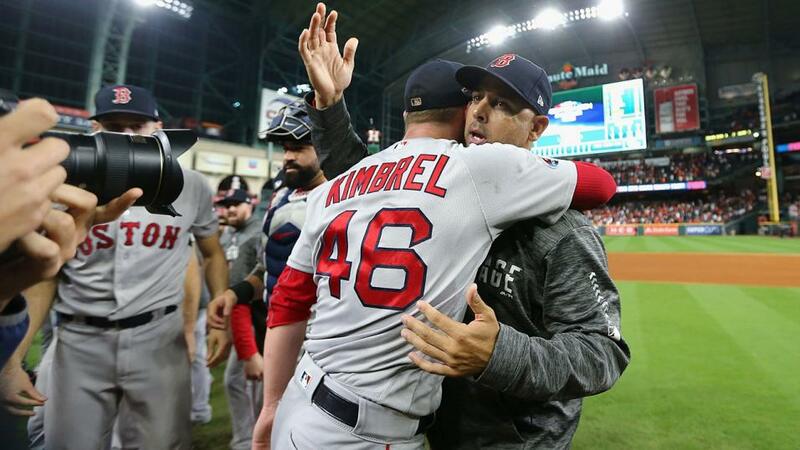 But Kimbrel, their closer is gone, as is Joe Kelly, who crucially signed with the Dodgers after he struck out the side in the eighth in the final game of the World Series. I'm not sure either surprise Ryan Brasier or Matt Barnes is ready to close in high-pressure Fenway. They will have Nathan Eovaldi for the whole season, after his long relief job against LA made him an instant legend; I might consider trying him as a closer, especially because Chris Sale, arguably the best in the league when he's on, can't pitch a whole season. The onfield lineup remains the same; Betts, Jackie Bradley and Andrew Benintendi are the best outfield in the league, and JD Martinez gave them the big bat they needed as DH. Dustin Pedroia is back but a question mark at second, and they need Rafael Devers to improve at the plate and the veteran platoon at first, Mitch Moreland and Steve Pearce, to deliver as they did last year. Tampa Bay Rays: Blake Snell came out of nowhere to win the Cy Young award as best pitcher in the AL, and the Rays won 90 games, and Kevin Cash dealt with a weak rotation by using an 'opener' a reliever (usually Ryne Stanek) to start the game but pitch only a couple of innings. They added starter Charlie Morton, who is dependable if he can stay healthy at 35. Tommy Pham and Ji-Man Choi could improve as hitters, and they'd like Brandon Lowe to join them because otherwise the lineup will lack pop; but if Cash stays creative, the Rays could again challenge. Toronto Blue Jays: The most exciting thing about the Jays is Vladimir Guerrero Jr, son of the former Montreal Expos' star, but he will start the season in the minors in an effort to keep him under the team's control for an extra contract year. He hit .381 in the minors at age 19 last season and is ready to give star power to a relatively anonymous lineup. They need pitchers to return to form: Marcus Stroman, Matt Shoemaker and Aaron Sanchez are good arms who can't stay healthy. Ex-Astros Ken Giles and David Paulino anchor the bullpen. Baltimore Orioles: Machado and reliever Zach Britton (to the Yankees) left in last year's mid-season fire sale, and there is no one on the horizon to replace them. Nor to improve the league's worst starting rotation, though Dylan Bundy, Alex Cobb, and Josh Rogers could be better this year. Mark Trumbo and Chris Davis are fading power hitters' they need youngsters Cedric Mullins, Renato Nunez and DJ Stewart to mature quickly. Cleveland Indians: They've won the division three years in a row by comfortable margins, and they still have the best starting pitching in the AL. Corey Kluber, Carlos Carrasco and Trevor Bauer are all potential Cy Young candidates; Mike Clevenger gave them 200 quality innings and Shane 'Dustin' Bieber went 11-5 as a 22 year old rookie. Brad Hand is the key reliever but maybe not as dominating as you'd like. The offense will come from shortstop Francisco Lindor and third baseman Jose Ramirez; the two switch hitters hit 38 and 39 homers respectively. As with the pitching, there are holes behind the big guns, though Carlos Santana is a fine DH. They added Jake Bauers from the Rays who could nail down first base. Minnesota Twins: My dark-horse team last year. On the plus side, new manager Rocco Baldelli could shake things up, on the minus side, they didn't get the kind of improvement I expected from the outfield of Byron Buxton, Eddie Rosario and Max Kepler or 3b Miguel Sano. CJ Cron replaces retired Joe Mauer at first, Nelson Cruz will DH instead of Logan Morrison and they hope ex-Oriole Jonathan Schoop regains his 2017 form at second base. Jose Berrios is a top-rate starter, but they need Jake Odorrizi to contribute all season and Michael Pineda to come back from Tommy John surgery. Lefty Taylor Rogers may be better than closer Trevor May, though May should be better a year removed from shoulder surgery. Kansas City Royals: The bottom three teams in this division are a pick-em: all have huge holes. The Royals are young and fast but hardly anyone in their lineup can get on base: shortstop Adalberto Mondesi never saw a pitch he couldn't swing at, and Billy Hamilton could steal 100 bases, but can't get on base with even a .200 percentage. Whit Merrifield is an all-star quality second-baseman, catcher Salvador Perez can hit, and Ryan O'Hearn had a promising rookie season at first. Brad Keller is their best starter, while veteran Danny Duffy adjusts, and Wily Peralta showed well as a closer late last year. Chicago White Sox: Yoan Moncada was the best prospect in baseball when the Sox got him from Boston in the Chris Sale trade, but he plays like someone who believes his hype and doesn't need to work at the game. Eloy Jiminez is a good bet for rookie of the year if the Jays do to Guerrero what the Sox did to him last year, keeping him down in the minors. DH Jose Abreu is 31 and showed signs of decline last year. Reynaldo Lopez could be a number one starter, but their whole rotation is filled with could-bes; Alex Colome, Nate Jones and Jace Fry are the core of a decent bullpen. Detroit Tigers: Nick Castellanos is a fine hitter, especially against lefties; Niko Goodrum had a fine rookie season at second. Miguel Cabrera is a Hall of Famer, but he's 35 and coming off a biceps injury. Christin Stewart could be a good outfielder. Matthew Boyd is OK as a number one starter, but Michael Fullmer hasn't improved since his rookie year, Jordan Zimmerman, Tyson Ross and Matt Moore are all veterans needing to come back. Their bullpen doesn't look like it will offer those guys much help. One of these bottom three teams could have a couple of players break through or veterans come back stronger than unexpected, but you take your chances trying to guess which one. Houston Astros: A surer thing than the Indians after two straight 100 win seasons and with solutions lined up for their lineup holes. The one major question is whether, minus Keuchel and Morton, gone as free agents, and Lance McCullers, who had Tommy John surgery. The rotation will remain as strong with ageless Justin Verlander, ex Pirate Gerrit Cole, new signing Wade Miley, lefty Framber Valdez, one or both of Brad Peacock and Colin McHugh moving permanently out of the bullpen, or Josh James, who looked great in September. They also have 21 year old Forrest Whitley, considered the top pitching prospect in the minors, but ideally held for a time in AAA. Roberto Osuna, Ryan Pressley and Hector Rondon anchor the bullpen, which could also have either Peacock or McHugh. OF Michael Brantley and C Robinson Chirinos help replace the loss of Evan Gattis and Marwin Gonzalez, helped by a breakout half-season from Tyler White; but with Yuli Gurriel, Jose Altuve, Carlos Correa and Alex Bregman around the infield, the pop is there. We heard you like runs. Oakland Athletics: Last year the As got a surprise 97 wins, and manager of the year honours for Bob Melvin. Melvin coaxed decent seasons from journeyman starters Cahill, Brett Anderson and Edwin Jackson but by the end of the year was also using openers, like the Rays. Oakland got years at the corners from the young Matts, Olson at first and Chapman at third (which I alerted you to last year), and an MLB-leading 48 homers from DH Khris Davis. Stephen Piscotty came out of nowhere to hit 27 taters, now Robbie Grossman comes over from the Twins to join the outfield. Second baseman Jurickson Profar hit 20 homers and had 25 errors for the Rangers. With shoulder surgery sidelining Sean Manaea, Mike Fiers heads the rotation, though they signed Anderson late for another season, and journeyman Marco Estrada. Top propect Jesus Lazardo was their best arm in spring training, but may open in the minors along with Chris Bassit and Daniel Mehngen, while Aaron Brooks and Frankie Montas fill out the rotation; they cannot be sent down to the minors without being released. Melvin's good with the bullpen and has arms there with Blake Treinen and Lou Trevino; veterans Fernando Rodney Yusmeiro Petit and Joakim Soria could fill out the pen. Los Angeles Angels: Mike Trout is the best player in baseball, Rookie of the Year Shohei Otani proved he could do in MLB what he did in Japan; hit 22 homers as a DH and went 4-2 as a pitcher; he will only DH this season while he recovers from shoulder surgery, but that is not a sure thing. Albert Pujols is 38, can barely play first base, and isn't a great hitter any more, but the Angels still owe him nearly $90 million over the next three years. Andrelton Simmons is a fine shortstop and they hope Jonathan Lucroy can revert to his 2016 form at catcher. Andrew Heaney is their best starter. They added ex-Met Matt Harvey as a boom or bust and Trevor Cahill who never makes it through a season uninjured; while hold-over Tyler Skaggs has the same problem. The bullpen is full of big arms with bad control. New manager Brad Ausmus needs to steer this team carefully to avoid collapse; if he can they could challenge for a wild card. Seattle Mariners: They won 89 games last year, but traded or cut high priced veterans Robinson Cano, Alex Colombe, Nelson Cruz, Edwin Diaz Jean Segura and Mike Zunino, while bringing in Scott Servais as manager. They added two veteran power hitters, Edwin Encarnation, who will play first base, and outfielder Jay Bruce, who's not likely to do much more than be a platoon player. Mitch Haniger had a breakout season in the OF, they'd like Kyle Seager to bounce back at third, and C Omar Narvaez, acquired in the trade for Colombe, could be a star. Mallex Smith and Dee Gordon can steal bases if they get on base. Yusei Kikuchi is expected to be the number one starter, but he's had trouble staying healthy in Japan. Felix Hernandez is a shadow of his former self, luckily control specialist Mike Leake just keeps rolling on. Marco Gonzalez and Wade Le Blanc ought to round out the rotation; but the bullpen is iffy unless Shawn Armstrong can deliver on his AAA success. Texas Rangers: The Rangers swing from the heels all the time; 'Crazy Joe' Gallo hit 40 home runs while batting .206! Rougned Odor, Ronald Guzman, and rookie Patrick Guzman all have power potential to become a mash unit. The Rangers will hope to bring Lance Lynn along after his surgery the way they did Mike Minor last year; Drew Smyly and Edinson Volquez are more Tommy John surgery survivors at the Rangers' other MASH unit. They may have trouble getting to the bullpen, but it might be a wild ride getting there. Atlanta Braves: This is one of the hardest divisions to call, not least because of the internal move of Bryce Harper. There's no completely balanced team, but the Braves, who surprised with 90 wins last year could be even better. Ronald Acuna Jr was the NL rookie of the year at age 20, Freddie Freeman is one of the steadiest stars in the majors, and they've added Josh Donaldson, who at 33 needs to bounce back from an injury-filled 2018. Mike Foltynewicz finally put everything together after coming over from the Astros, Kevin Gausman had a good second half after leaving Baltimore, and Julio Teheran is a reliable third starter. They need Kyle Wright to be the next Foltynewicz, and for Touki Toussaint to step up. The bullpen is good, and ex-Brave Brian McCann returns as an occasional catcher. Philadelphia Phillies: Adding Harper has jumped the Phillies into the pole position, and as good as his bat is, he immediately makes them a better defensive team. With Andrew McCutchen, Cesar Herandez, Juan Segura and big slugger Rhys Hoskins they will see lots of pitches. Aaron Nola is the top starter, Jake Arrieta a good number two, and they should be able to fashion Nick Pivetta, Vince Valasquez, Zach Elfin and maybe Jared Eickhoff into a rotation. Seranthony Dominguez is the closer, and the arrival of David Robertson from the Yankees ought to help the pen. Washington Nationals: Bryce Harper is gone, but Juan Soto hit .292 in his rookie season and didn't turn 20 until October. If Victor Robles can take over in center field, and if ex-Card slugger Mike Adams can create a platoon at first with Ryan Zimmerman, the power will be there. Yan Gomes and Kurt Suzuki are as good a one-two punch at catcher as anyone in the league, while Anthony Rendon and Trea Turner provide infield pop. Max Scherzer is the NL's version of Justin Verlander, getting stronger as he gets older; with Stephen Stasburg, Patrick Corbin, Anibal Sanchez make up a strong four starters; Sean Doolittle is a fine closer but they need Trevor Rosenthal to come back strong from Tommy John surgery. 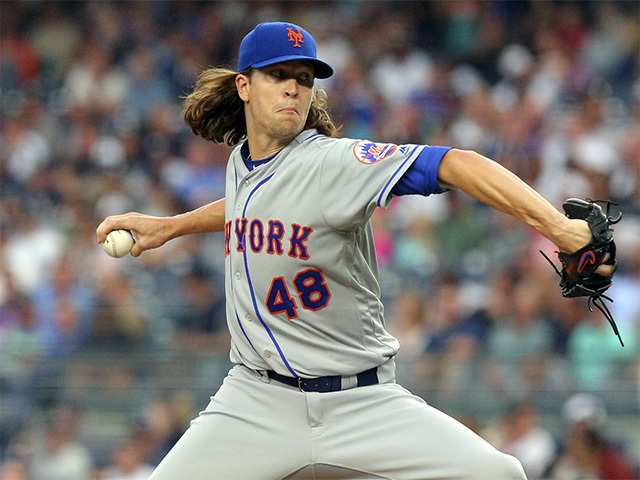 New York Mets: Jacob DeGrom won the Cy Young award despite winning only 10 games against 9 losses. Noah Syndergaard went 13-4, Zach Wheeler was 9-1 over the second half of the season. That's as good a front three as anyone in the league. Stephen 'Meet The' Matz ought to be better a year after coming back from surgery, and there will be a fight for the fith spot. The Mets are backing that staff with veterans in a pennant push: Edwin Diaz comes over from Seattle to be the closer, joined by second baseman Robinson Cano, the ex-Yankee. Veteran sluggers like Adrian Gonzalez and Todd Frazier have seen their numbers drop drastically at Citi Field. Brandon Nimmo and Michael Conforto are 25 year old cornerstone outfielders, and they're hoping Juan Legares comes back from injury in center. Miami Marlins:Derek Jeter's masterplan for the Marlins saw them win just 63 games and attendance half to 800,000. But they created a new logo and new colours for their uniforms. They signed two sons of former Cuban great Victor Mesa: Victor Jr and Victor Victor. On the field, RF Brian Anderson are building blocks, but needs to carry the can. Jose Urena is their best pitcher; Taiwanese lefty Win Yin Chen was great at home and awful on the road, with a 7.50 difference in his ERAs. It's possible the Marlins could improve to 64 or 65 wins, and Jeter could come up with some new names for the team colours. St Louis Cardinals: The Cards know they play in a tough division, so they made big moves adding Paul Goldschmidt, a model of consistency for six years in Arizona, at first base and Andrew Miller, a dominating reliever when he's healthy. They need Carlos Martinez to come back healthy at the top of their rotation, and almost all their other starrters missed time hurt. Rookie reliever Dakota Hudson could move into the rotation for his second season. Miller's a lefty, which helps against lefty power hitters in the division and Jordan Hicks is an effective righty. The lineup around Goldschmidt is solid everywhere, guys like Jose Martinez and Marcell Ozuna don't get much attention but get the job done, and catcher Yadier Molina is still effective at 35. Milwaukee Brewers: This division is another dog-fight. The Brewers surprised to win last despite losing Jimmy Nelson for the whole season, and they've added punch at the plate with catcher Yasmani Grandal and Mike Moustakas. Moose plays third base, which creates a problem because Travis Shaw is probably going to have to play some at second; he's done it before but you don't see many 6-4 230 pound second basemen. The Craig Counsell will use a lot of shifts that might make things easier for Shaw, and utility man Hernan Perez might play some if first baseman Jesus Aguilar fades again late in the season, as Shaw can also play first. Christian Yelich was the NL MVP after coming over from the Marlins in Jeter's fire sale. The big question is the pitching: Jhoulys Chacin was a surprise, but they need Nelson and Zach Davies to come back and Brandon Woodruff to make the move from the bullpen. Josh Hader was voted NL reliever of the year, and has 12 saves, but Corey Knebel is the nominal closer (16 saves), and all-star Jimmy Jeffress had 15. But people say bullpen-by-committee won't work. Chicago Cubs: Anthony Rizzo is one of baseball's best hitters, and Kris Bryant ought to be. But many of the other Cub stars seem to be in reverse motion, apart from Ben Zobrist, but despite hitting over .300 last season, the versatile utility man is now 37. Javier Baez has the raw numbers of a super star, but needs a little more plate discipline, while Addison Russell faces a domestic violence suspension until May. The five man rotation (Cole Hamels, Jon Lester, Kyle Hendricks, Jose Quintana, Yu Darvish) on paper should challenge the Dodgers, but they're all on the downside of careers. Closer Brandon Morrow was hampered by a severe bone bruise last year; they need him at 100 per cent, which meant Pedro Strop worked a lot of innings. Cincinnati Reds: Joey Votto is their version of Rizzo, with an even better hitting eye, but less home run power, even in the Great American Ball Park. They added Matt Kemp and Yasiel Puig from the Dodgers, whose hitting numbers could explode, have Eugenio Suarez at third and got 23 homers and 93 RBIs from Scooter Gannett. Kyle Farmer, from the Dodgers' minor leagues, will likely backup at catcher and infield corners. The big additions, however, are pitchers: Alex Wood from LA, where he was 9-7 3.53 in pitcher-friendly Dodger Stadium and Tanner Roark, who came from Washington in a rare Tanner for Tanner (Rainey) trade; he ought to give them a lot of innings. Luis Castillo showed signs of breaking through in the second half of the season. Raisel Iglesias and Jared Hughes racked up 150 innings between them, and 37 saves, while reliever Mike Lorenzon has hit 6 home runs in the league without a designated hitter rule. Pittsburgh Pirates: Kind of the Texas Rangers of the NL, a team whose glory days faded quickly. Jamison Taillon and Trevor Williams are underrated as starting pitchers; Chris Archer came over from Tampa last year but went only 6-8 for the season. Watch for swingman Jordan Lyles to start, and maybe even 23 year old rookie Mitch Keller. Felipe Vazquez (aka Rivero), Keone Kela and Richard Rodrqiguez are potentially a first-class bullpen. Gregory Polanco had shoulder surgery last September, but even until he comes back Starling Marte, Corey Dickerson and Lonnie Chisenhall and/or Pablo Reyes is a decent outfield. The infield is less impressive, though rookie shortstop Kevin Newman could be good, and Francisco Cervelli is a plus catcher. Los Angeles Dodgers: How do you pick against them? They're in a division which, like the AL Central, is a pick'em mess underneath them. They won the NL and lost the World Series to Boston, so they sign fireballing Joe Kelly away from the Red Sox, where it could be argued his fight against Tyler Austin of the Yankees last year was the team's catalyst moment. Kelly will help take pressure off closer Kenley Jensen and Pedro Baez; the bullpen did not shine in the post-season. The rotation remains strong: Clayton Kershaw's stuff has declined visibly, and his back is a problem, but he still pitches effectively. Walker Buehler is already a front-line starter after barely more than one season. Ex-Red Sox Rich Hill is 38 but he and Hyun-Jin Ryu are excellent lefties, while Kenta Maeda and Ross Stripling pick up the extra starts. They get shortstop Corey Seager back, which means they've got solid bats at every position; he's still only 24. Colorado Rockies: 91 wins last season, Nolan Arenado at third, Charlie Blackmon in center and Trevor Story at short, but for once the real story is the pitching. Kyle Freeland and German Marquez handled Coors Field, where a 4.00 ERA is good; Marquez's was 3.77, Freeland's an amazing 2.85. Tyler Anderson had better numbers at home than on the road, while Jon Gray and Antonio Senzatela had more usual splits. Wade Davis is a killer in the bullpen, while The Stone Buddha, Seung-hwan Oh, a 36 year old veteran of Korea, Japan, St Louis and Toronto, was remarkably effective at Coors. Daniel Murphy arrives to try playing first base, while David Dahl had 16 homers and 48 RBIs after being called up in the second half of the season. Arizona Diamondbacks: A classic case of a team trying to push themselves over the top, but falling short, and are now having to retool. If Jake Lamb and Steven Souza return healthy their hitting will be better, but that's guys like David Peralta or Eduardo Escobar, who'd be better as complimentary parts. The pitching is similar, though Zach Grienke is a five-time all-star. Robby Ray has stuff, but tends toward wildness. They think Luke Weaver, coming over from the Cardinals, can take a leap forward, while Merrill Kelly would make a great leap: he was signed after a dominant year in South Korea. They'd hope to get Taijuan Walker back later in the season from shoulder surgery. In the pen, Japanese rookie Yoshihisa Hirano had 3 saves, which matched perspective closer Archie Bradley. San Diego Padres: Adding Manny Machado makes the Padres unpredictable; Luis Urias was projected to start at short, and their best minor league prospect, Fernado Tatis Jr is also a shortstop. But they were planning on playing Will Myers, their last big acquistion at the plate, at third, so Machado could move there, or veteran second baseman Ian Kinsler. Myers could move back to the OF or play some first, where Eric Hosmer lacks power. Hunter Renfroe is the best of the other outfielders. Franmil Reyes hit 16 homers in half a rookie season. Joey 'the Godfather' Lucchesi is the best of their starters, which isn't saying much, while Andy Green is another manager who used his bullpen as openers, though Kirby Yates was effective as a closer. San Francisco Giants: The Giants' two signature players, pitcher Madison Bumgarner and catcher Buster Posey, are only 29 and 31, but injuries have aged them prematurely. Still, Bumgarner is their number one starter, with nothing much behind him unless Jeff Samardzija can finally put together the kind of year he's paid for. Will Smith will be the closer, with Mark Melancon and Tony Watson behind him. Posey is coming off multiple injuries, and had hip surgery; that's a bad recipe for a catcher, though Brandon Belt isn't such a great hitter that Posey couldn't take at bats away from him in a platoon at first. Evan Longoria is 33 but may be the team's main power source. That's not a recipe for success. I didn't look at the odds until after I finished writing the previews, and I am surprised how closely my analysis comes to the odds-makers. There are four odds-on division champions: my World Series picks the Astros and Dodgers, at [1.14] and [1.22], Cleveland at [1.25] and the Yankees at [1.83] (which for sentimental reasons might encourage my flutter on the Red Sox at [2.2]). But more interesting are the Braves and Brewers (both [3.6]) and the Cardinals at [2.88]. As you'd expect, the Astros are [7.8] to win the World Series, the Dodgers [9.0]. Most of the season wins over/unders are at 5/6 for either over or under. I like three teams over, all at 5/6, the Rockies at 84.5, Brewers at 86.5, and Cardinals at 88.5. Individual awards are even more of a crap shoot: Bryce Harper gets the favourite's position in the NL MVP at 7/2, but that's short even if the Phillies win. I like Nolan Arenado better at 11/2 and Paul Goldschmidt at 9/1. In the AL MVP Aaron Judge at 11/1 is tempting (Mike Trout is a very short 2/1). Justin Verlander is 9/1 for the AL Cy Young, but that's even more temperamental than the MVP--as advanced stats really trump wins or championships (see; Jacob de Grom) while Aaron Nola in the NL at 8/1 is not surprising. 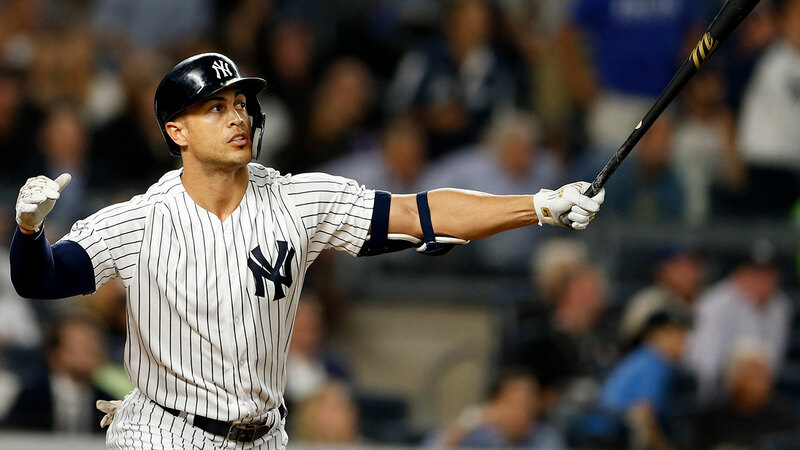 And if you're willing to double up, it might be worth taking both Yankees in the competition for most home runs in the American League: Giancarlo Stanton at 11/2 and Aaron Judge at 9/1 is like betting both at 7.5/1. But remember, baseball is a quotidien game, and the little edges, while they don't look as tempting as the seemingly big odds at the start of the year, anything and everything can and will happen between the end of March and the end of October.